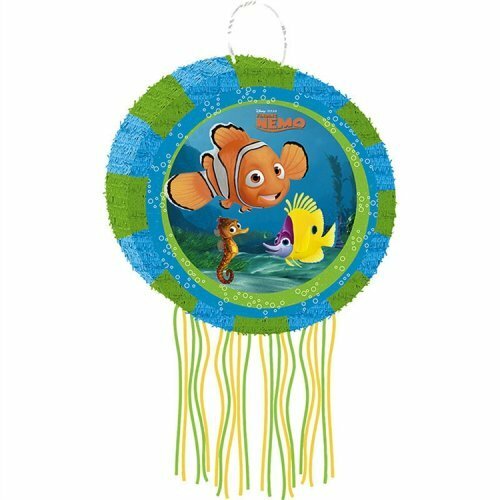 This Disney Pixar Finding Nemo Pinata is a fun and safe game for your party. Nemo is swimming into action with this colorful pinata that measures approximately 18″ in diameter. Also look for our pinata filler (sold separately). This is an officially licensed Disney/Pixar product.